Credit reporting agencies make mistakes. Even when they’re not at fault, the credit reports they prepare often contain inaccurate information about consumers. When this happens, can the consumer sue the credit reporting agency for defamation? Well, maybe. Virginia defamation laws usually apply where false statements have been made to others that cause harm to one’s reputation, but these are state laws which may be preempted by the federal Fair Credit Reporting Act. Federal laws preempt state laws when they apply to the same situation. The relevant part of the FCRA provides that, with certain exceptions, “no consumer may bring any action or proceeding in the nature of defamation, …with respect to the reporting of information against any consumer reporting agency, any user of information, or any person who furnishes information to a consumer reporting agency, based on information disclosed pursuant to section 1681g, 1681h, or 1681m of this title, or based on information disclosed by a user of a consumer report to or for a consumer against whom the user has taken adverse action, based in whole or in part on the report except as to false information furnished with malice or willful intent to injure such consumer.” That’s a mouthful, but the key point to remember is this: you can’t sue a credit reporting agency for making an innocent mistake; to bring a defamation action based on an inaccuracy in your credit report, the falsity must have been made with malice or a willful intent to harm the consumer. 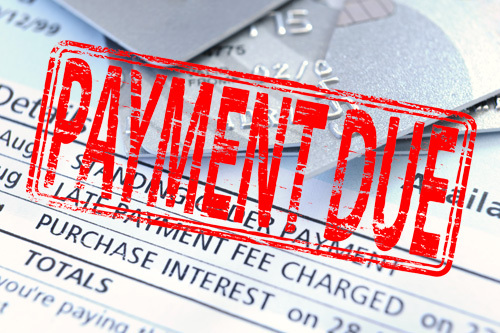 Michelle Bourdelais brought a defamation claim in the Richmond Division of the Eastern District of Virginia against Chase Bank and Chase Home Finance, based on Chase’s alleged reporting of inaccurate information about the status of her mortgage payments to consumer reporting agencies. Chase moved to dismiss the claim, arguing that it was preempted by the Fair Credit Reporting Act. Judge Henry E. Hudson denied the motion, allowing the claim to proceed. The Fair Credit Reporting Act (“FCRA”) contains two seemingly conflicting sections. Section 1681t(b)(1)(F) appears to preempt all state laws regarding the liability of credit reporting agencies, whereas § 1681h(e) preempts only certain types of common law actions and then only under certain circumstances. The court noted that although the Fourth Circuit has not addressed the issue, seven of nine district courts in the Fourth Circuit have reconciled this conflict by using the “statutory approach” and holding that §1681t(b)(1)(F) only applies to state statutory claims and § 1681h(e) only addresses state common law claims. Bourdelais argued that the preemption provisions did not apply at all because Chase did not act as a furnisher of information to consumer reporting agencies and Kroll Factual Data, the party who provided Bourdelais’ credit report, was not a consumer reporting agency (“CRA”) within the meaning of the FCRA. The court rejected this argument and noted that the FCRA definitions of “furnisher” and “consumer reporting agency” clearly include Chase and Kroll.